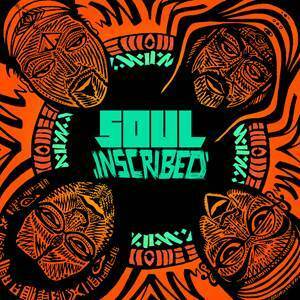 Hailing from the cultural cauldron of New York City is hip hop, soul, jazz, dub and R&B inspired quartet, Soul Inscribed. Featuring MC and producer Baba Israel, vocalist Duv, saxophonist and flutist Sean Nowell and multi-instrumentalist and producer Yako 440 on guitar and bass (which he often plays simultaneously on stage), Soul Inscribed offers an enticing fusion of the many flavors of music. In this interview we learn about their roots, influences, ambitions, and much more. Morena: Tell me about the group's heritage. How did you meet and where are you from? Baba: I was raised in New York City by parents who were core members of the Living Theatre. I grew up at a time when New York was still affordable and raw. I came of age as an artist in the nineties, which was a kind of renaissance, a time where hip hop, jazz, and spoken-word were all influencing each other. There were ciphers outside of the Nuyorican with Mos Def, poetry readings with Saul Williams and Jessica Care Moore, I am still inspired by those moments. I met Yako in 2000 when he came to a jam at the loft, he jumped on every instrument, killed it on drums, bass, piano, and guitar. Later I was on tour with DJ Logic and our bass player dropped. I got Yako the gig. We bonded and started creating and worked for a while with DJ Center. I was one of the early folks doing hip hop education in New York and was teaching music production at the Door Community Center with Yako. We met then 17-year-old vocalist Duv, he joined my spoken word group. We were blown away by his vibe and voice and found an instant chemistry. After featuring Duv on our albums we co-produced Duv's solo debut, Urban Artistik. In 2009 I moved to England to work as the Artistic Director and CEO of Contact, one of the world's leading arts venues working with youth. After returning to New York in 2013, I connected with electro/jazz/funk/multimedia group The Kung-Fu Masters led by saxophonist/composer Sean Nowell. I invited Sean to play live shows and join in recording sessions at the Soul Inscribed studio in Bushwick, Brooklyn. Sean joined the group soon after, completing the quartet. Morena: Who have been some of your greatest influences? Musical and otherwise? Baba: As a group we are deeply inspired by black American music traditions and always honor the roots of our influences. As three white cats and a Puerto Rican who have been shaped by jazz, hip hop, and R&B and soul, we take that seriously. We also bring our own backgrounds into our music, whether it's the counter-cultural influence that some of us had through our parents generation, or the influence from where we grew up that flows into the music. Sean: John Coltrane, Sonny Stitt, Dexter Gordon, Joe Henderson, Kenny Garrett, Wayne Krantz, Jean Luc Picard. Yako: Roots Radics, Sade, Tim Maia, The Pharcyde, Erykah Badu, Steely Dan, Native Tongues and Dilla. Duv: Michael Jackson, Boys 2 Men, Musiq Soulchild, Logan aka Wolverine. Morena: I know you are answering these questions from the road, tell me about your current tour. Sean: We have been selected to be Cultural Ambassadors through the American Music Abroad program that's sponsored by The U.S. State Department. We will be sharing our music through performances and workshops in Russia, Indonesia, Taiwan and Mauritius. We are also very excited to collaborate with indigenous musicians, dancers and visual artists that we meet during our 5 week tour. Baba: We had our briefing with State Department today and it was explained that in some cases we may be the first Americans our audiences will have encountered. Hearing that really brought home how unique an experience this will be. I'm glad that we will be representing a progressive and social justice-minded American perspective and that we will be using our creativity to build better understanding between cultures. We will be heading to some major cities like Jakarta but also more rural locations. I am really curious how people will respond to our music and what kind of connections we will build. I am looking forward to connecting with rappers and beat-boxers in Indonesia for example but also with traditional musicians such as gamelan which is a musical style I have always loved. In America, our relationship to music has become very commercialized and I am curious to see how music manifests in the cultures and places we are visiting. Morena: Are there any events or countries you hope to play at in the future? Sean: We hope to play in Mexico again at the Cumbre Tajin Festival. Yako: New Zealand is a big inspiration for my production on this album, they have a great scene there of artists mixing live music with hip hop, soul, and reggae. Baba: I agree with Yako, New Zealand or Aotearoa is a big influence for us. We love the sound of Fat Freddy's Drop, Che Fu, and King Kapisi. I would love to see how they would dig us. After touring in Europe and doing this state department touring I also want to explore more of America and get back out to the West Coast and North West. I want to learn more about what the independent U.S. scene is saying. I feel like a lot of my musical connection in the states has been through social media and I want to get out there and meet folks and find like-minded artist to collaborate with. Morena: The West Coast would love to have you! What are your plans for 2016? Baba: One of our good friends and collaborators is DJ Irfan Rainy, a Manchester-based producer and DJ. He has been really challenging us to think about how we can push our creative process for the next record. He is encouraging us to break out of our comfort zones both lyrically and musically. We are interested in him producing our next record. Yako and I just premiered a major project called The Spinning Wheel which is a theater piece, an exhibition, and a festival. We were resident artists at BRIC, a multi-disciplinary venue in Brooklyn, New York. I am interested in Soul Inscribed expanding beyond albums and moving towards multi-media productions that cross art forms. We are interested in doing a covers album, a collaboration project that features a diverse range of long time or native New Yorker musicians and that is an album and a web series, a lot of ideas are brewing. Yako: We hope to bring Soul Inscribed and The Spinning Wheel to colleges across the U.S. and international festivals as well. Morena: Music is a universal language. Do you feel your music is truly making a difference in this world and how so? Baba: It's hard to know the impact you have as an artist. There are moments when you feel it, when someone comes up to you at a show and shares how they were moved. I have had some folks recently share how The Spinning Wheel project impacted people's choices as parents, that it motivated folks to get more active in a social justice context, or sparked a creative idea for someone. We do a lot of outreach and work directly with young people and recently we have been working a lot with young people with disabilities, physical, learning, mental. These are communities that are too often marginalized. We have performed and collaborated with these communities and inspired and been inspired. We've had teachers tell us that students who don't usually speak have communicated in new ways and that folks confidence has grown. Those are the moments that keep you going. Sean: I enjoy exciting crowds with saxophone solos but I feel that the real strength of the music is in the stories and experiences told by the lyrics that can give people perspective on their lives. Duv: I write lyrics that are honest and present an alternative to a lot of the destructive messages I hear in some of today's mainstream. Yako: Performing our music in schools in NYC and internationally and seeing the response. People leave our educational shows knowing how to beat-box and more aware of the roots of hip hop. I find that gratifying on all levels. Morena: Do you have any upcoming projects you are working on? Baba: I am currently producing a new record for a great singer named Jocelyn, we have been working at the legendary Magic Shop studio in New York. I brought the rest of Soul Inscribed in to help me craft the sound. As I said earlier, lots of new projects in the dreaming stage, stay tuned for more. Check out the world premier of their newest music video "Soul Shine"